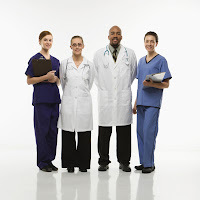 The Society of Physicians with Disabilities is a group within the Society of Healthcare Professionals with Disabilities. Membership is complimentary and we hope to maintain free membership throughout the life of the organization. We thank our sponsors and advertisers for making this possible. Membership is open to healthcare professionals, students, friends, family members, and others who wish to support the Society of Healthcare Professionals with Disabilities as a member of the community. Many of you may be here because you have a question and you are looking for an answer. If you have a question or a request that you'd like answered from our members, please send an e-mail to: info@DisabilitySociety.org and we will do our best to broadcast your question/request to our entire membership. We will include your contact information so that our members can respond directly to you. We have found that this is the most effective way to gather feedback from our members. Please make sure to indicate that it would be OK to share your message with all of our members. Be sure to join the Society of Healthcare Professionals with Disabilities so that you can be a part of a growing online community that is providing answers and support to your colleagues and peers.